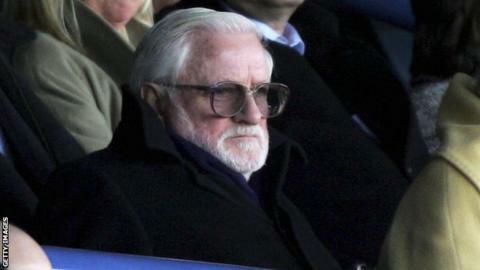 Leeds United chairman Ken Bates insists he is not to blame for the protracted takeover talks which are overshadowing the Championship club. Bahrain-based investment company GFH Capital signed a buy-out "exclusivity agreement" after initial talks began in May, but a deal is yet to be struck. "The real problem is their lawyers, because this is a straightforward deal by anyone's standards," said Bates. "By GFH's standards this is not a big deal so, Leeds fans, don't blame me." He added: "I'd like to be able to say something but there is a confidentiality agreement which seems to be a bit one sided. It makes it difficult to say anything. "GFH want to complete a deal and we are happy to do a deal with them, but when last-minute things are slipped in, it makes things very difficult." Three-time league champions Leeds first revealed they were in talks with potential investors on 29 May. Bates, 80, who took control of the club in 2004, said on 26 June that exclusive discussions with unnamed investors had begun. But supporters have been left frustrated by the ongoing saga, with a number of fans continuing to protest against Bates at last month's home match against Hull City. Neil Warnock's team are currently ninth in the Championship, with 14 points from their nine matches.